Facebook is trying to patch things up with Madison Avenue after the social-media giant acknowledged that it has overstated average time spent viewing videos — giving marketers a skewed view of how well their ads performed. The company says that in the past month it has updated the way it reports average time spent viewing videos on its platform to be more accurate. Previously, Facebook calculated that based on users who watched videos for at least 3 seconds. Now it’s factoring in views of any duration, which means the average time spent viewing will be lower. And it’s apparently much lower: Facebook’s previous “average duration of video viewed” metric was inflated by upwards of 60% to 80% because of the three-second cutoff, according to a letter ad agency Publicis sent to clients that was obtained by the Wall Street Journal. The “error” has been fixed, according to Facebook. “It did not impact billing, and we have notified many of our partners both through our product dashboards and via sales and publisher outreach,” the company said in a statement. The older average-time-spent-viewing metrics will be phased out in early October. “While this is only one of the many metrics marketers look at, we take any mistake seriously,” David Fischer, Facebook’s VP of advertising and global operations, said in a statement. While the overestimated figures didn’t affect how much advertisers paid for video ads, the inflated numbers would have led publishers and marketers to believe those were performing better than they actually were. The issue underscores Facebook’s limited data sharing with third-party measurement from parties like Nielsen and comScore. Advertisers and publishers have been seeking more transparency on Facebook usage for years. 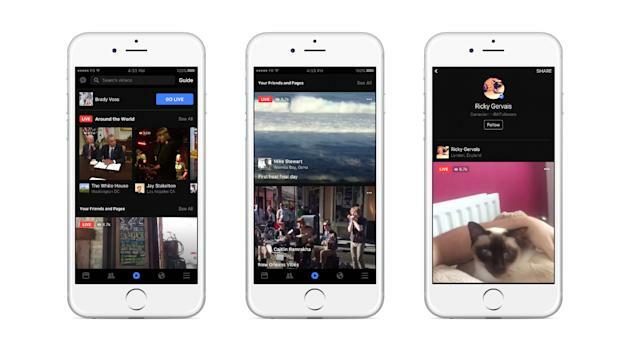 Facebook’s new methodology for average viewing time will include usage by users who begin to watch a video — including those that autoplay in their News Feed — then quickly move on. According to Fischer, the way Facebook was calculating average viewing time had no bearing on other video metrics it provides, including overall time spent watching video and the number of video views. Facebook had previously outlined the change in how it reports average viewing time in a post last month in its community discussion forum for advertisers.